Our principle challenge was to use exclusively the manpower to transport and assemble the building materials without machinery in order to reduce the environmental load. 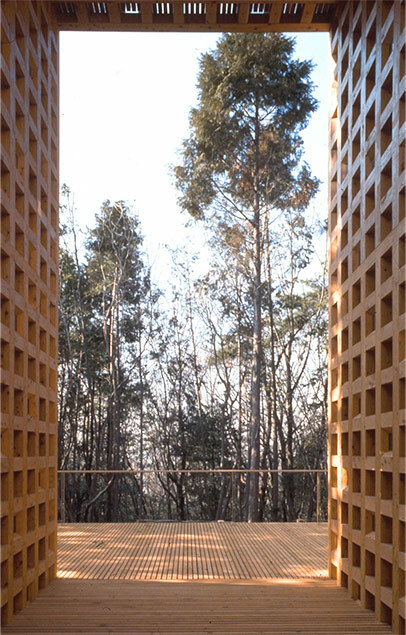 In the project of the Kaisho Forest View Tube, there are 3 themes, which are the “Positive practical use of thinning wood “, the “Succession of wooden technology from Japanese ancient times” and the “Environmental preservation around a site”. 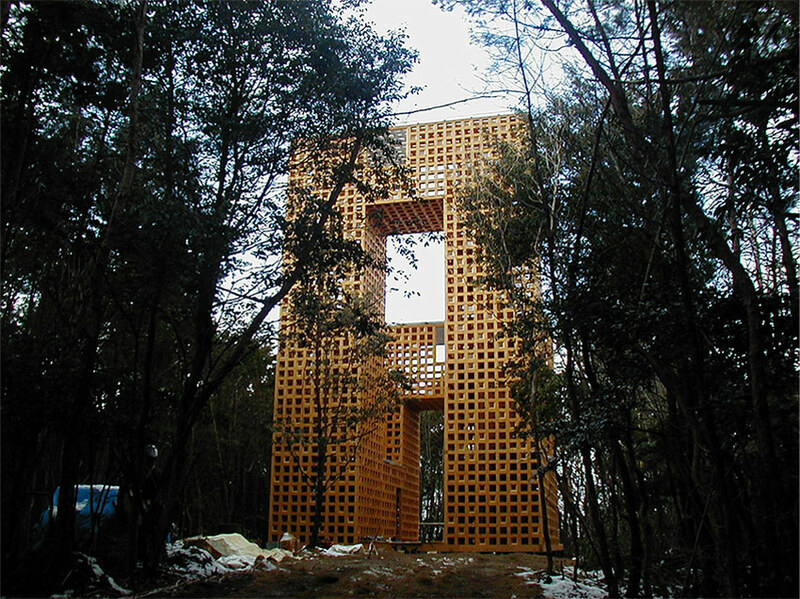 This project is the experimental wooden structural architecture which was realized in collaboration with Kitagawara studio, in the Tokyo National University of Fine Arts and Music. 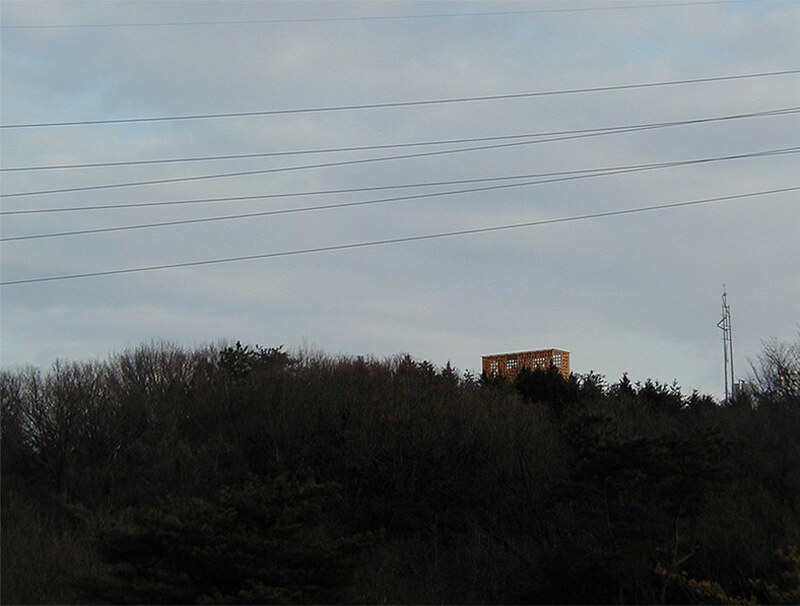 This architecture built in the east of Seto-city, where is the entrance in the forest of Kaisho, on the top of an slightly elevated mountain. 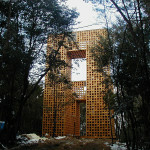 The environment of this site is a model area which attracts attention for the anima ls and plants of a rare kind, and inherits once Satoyama’s figure. 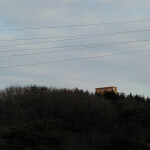 This view tube is pursuing symbiosis with such environment thoroughly. 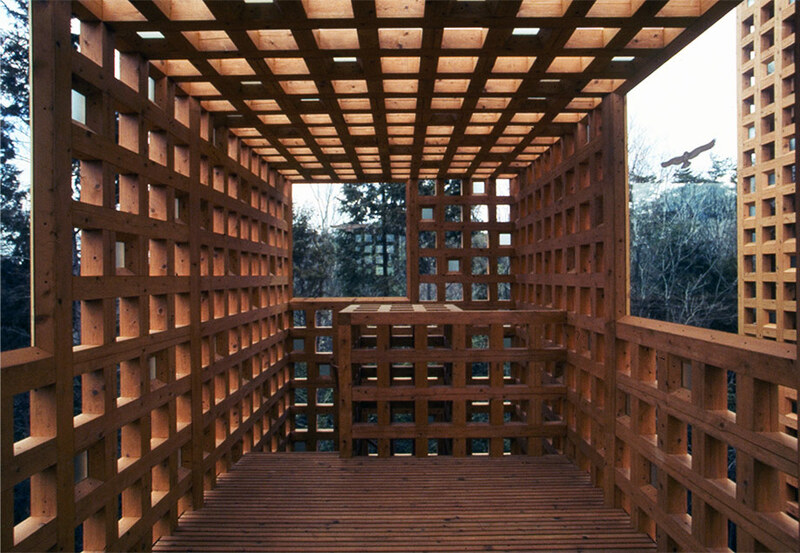 In the Kaisho Forest View Tube, we utilized local thinning woods and a unique “Mengoshi “, hybrid lattice framework of glass and wood for entire walls, floors and roofs. 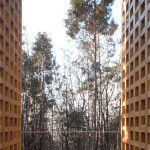 In the unique structure, the compressive strain of 12mm thick glass on the wood alleviates the seismic power for the 14m height building. Our challenge was to exploit the manpower to transport and assembly building materials without machinery in order to reduce the environmental load. 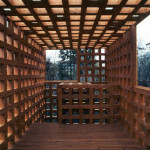 Cite this article: "Kaisho Forest Viewpoint / Atsushi Kitagawara," in ArchEyes, March 13, 2016, http://archeyes.com/kaisho-forest-viewpoint-atsushi-kitagawara/.